"I am very, very thankful that I work for a company that uses Best Care EAP. This is a wonderful service that has helped me enormously." Licensed, professional counselors are ready to deliver assistance. 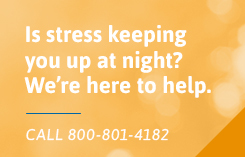 Our licensed professional counselors are available to support employees with a phone call, online, or face-to-face in a safe, private environment. Employees and eligible family members can access services anytime they need assistance by making a phone call or logging on to an online counseling session. Our vast network of affiliate providers makes face-to-face counseling services easily accessible to your employees where ever they are located. Employers and insurance carriers are unable to access EAP records ensuring confidentiality for your employees. 88% of clients accessing Best Care EAP counseling services resolve issues within the contracted number of sessions without referral for additional services. When normal coaching and/or disciplinary measures do not get results, employers have the option to refer employees for EAP counseling to help resolve job performance issues.